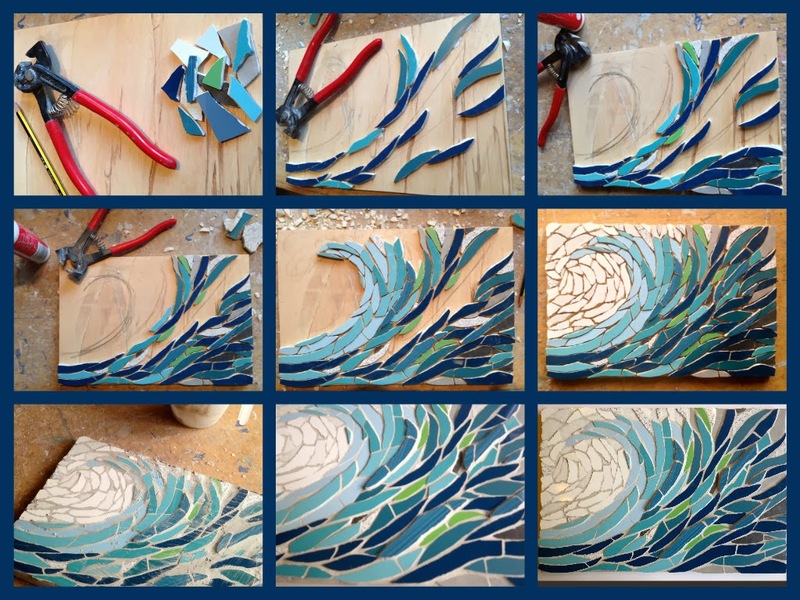 I've been making a new mosaic this week - a wave, using all sort of shades of blues and greens and greys - I have really got into the zone, and it's been great! Here is a photo collage I made of the process I went through creating it .. It will be for sale on my Facebook Page tomorrow at 10am GMT Mon Feb 28th, if you are interested - a Facebook exclusive ! Just a quick note to say that my blog has now been accepted for Google Adsense - so you will see adverts on my blog which Google choose, and if they get clicked, I earn a few pennies - every little helps, I say! I hope this is alright with you all, and here is a little picture to say thank you for your support! Ooooooo - I am very excited about using millefiori for the first time! They are wonderful nuggets of colour and pattern - a thousand flowers! I must be careful not to overuse them because they really do something to me - I know, I must get out more! Unfortunately they are not cheap - having said that I have just found a good deal on Amazon, and already I am impatient for them to come! I love looking at this mosaic - the colours are soooo vibrant and the tiles are different depths giving it a lovely 3D texture. Might have to bid for it myself - now that IS sad! Do take a look - what do you think? Practical AND a mosaic work of art! I'm in a practical frame of mind at the moment, everyone! I know what it is like - you like a piece of art but do you NEED it?! That's dodgy ground - I am the same - so many things I like, but where would I put it ... and the need issue comes into it too! So, I am combining my art with a practical use this week - so if you NEED a key rack or a lovely house warming present for someone special, then take a look here! If I can bring a bit of colour to your home, do get in touch! My eBay ventures are going well - the auctions will end every Sunday afternoon/evening so do keep an eye on what is on offer - http://www.ebay.co.uk/usr/felicityjustmosaics. This week, this varied collection of mosaics are up for auction if you are interested .. Thanks once again for keeping me company in my blog - it's half-term here in the UK, so I have lots of company at home too! Welcome to all new (and old) followers of my blog - thanks for all your comments and shares - I really appreciate it - lovely to know you are out there! I had a lovely time today making this mosaic flower collage - just because I am really proud of them and love the colour - esp. with all this awful UK weather! I love making mosaic flowers, looking at them closely and trying to create them as realistic as possible. or if your favourite flower isn't there, I am always up for a mosaic challenge! Just to let you know that I am now selling and auctioning my mosaics on eBay! It wasn't as scary as I thought, and I now understand how it works a bit more. To start with, I thought I would sell my smaller mosaics, and auction some of my bigger pieces - so why not take a look and see if you can grab yourself a bargain?! Just one of my mosaics up for auction at eBay! 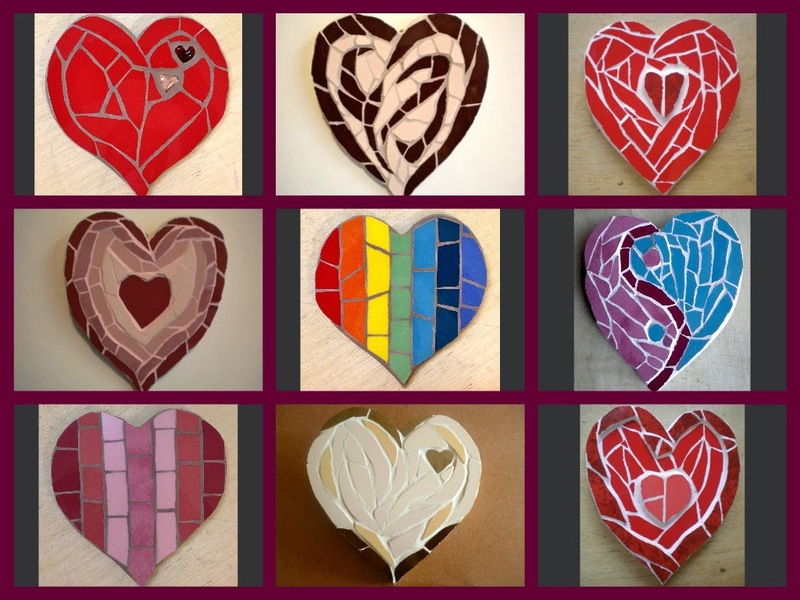 It would be GREAT if you could show my mosaics some eBay love! 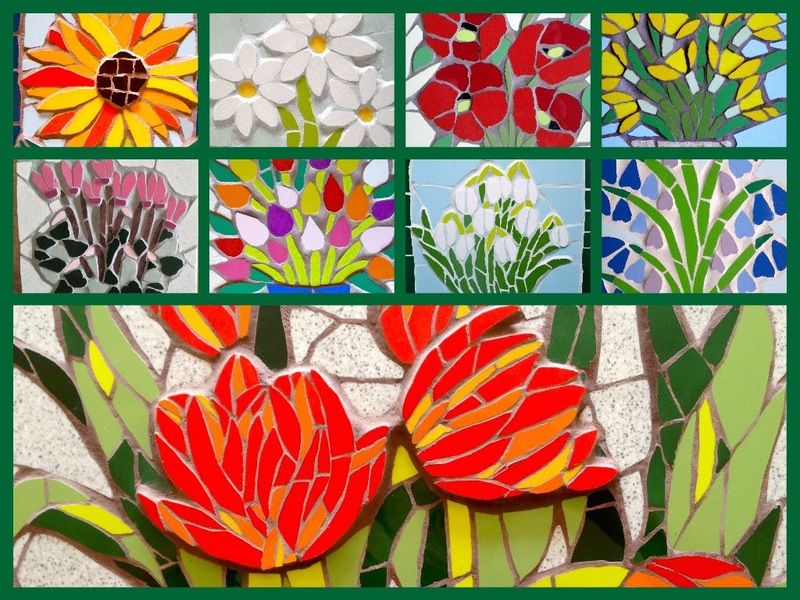 Just wanted to share my spring flowers mosaic with you - spring can't be too far away, can it? !